Both Half-Life games are on our list of the best shooters on PC, and will remain so forever, for it pleaseth the Gaben. Laidlaw was speaking about his experiences working on Half-Life 1 and 2. Some of his most interesting comments are in response to the inevitable question about Half-Life 3. Laidlaw, who quit Valve in January last year, has “no idea” if Half-Life 3 will ever be released (it won’t), and he has “no interest in going back” to work on it. 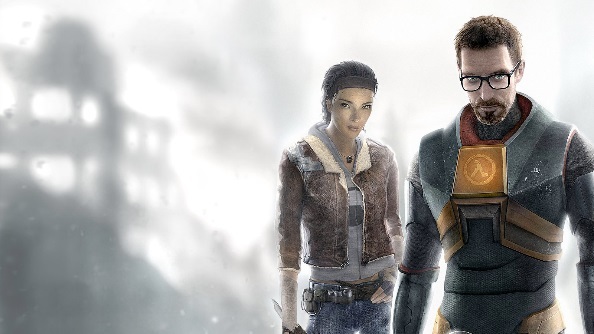 He says he had ideas for Half-Life 2: Episode 3, but that “they were all supposed to take the series to a point where I could step away from it and leave it to the next generation. So perhaps the fact that Half-Life 2: Episode 2 left us all in the lurch is appropriate; it seems the franchise’s lead writer never planned to wholly resolve things for Gordon, instead putting him on ice once again at the end of every game. I don’t know about you, but for me, this makes the likelihood of us never getting another Half-Life game easier to swallow. The full interview is well worth a read, touching on how Laidlaw got his job at Valve, the experience of working there, and many aspects of Half-Life’s narrative design. You can find it over atArcade Attack. Also, turns out Laidlaw’s favourite game is Dark Souls – good taste.